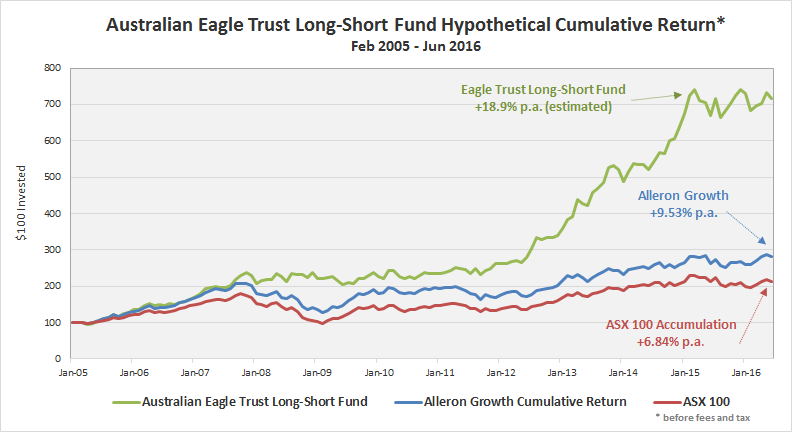 The long component of the hypothetical hedge fund results follow the same process as the Alleron long only portfolio which has an eleven year track record. The short component sells stocks that Alleron identifies as part of its research process to be of lower quality than its long portfolio and stocks that may be fully valued relative to their prospects. Returns are before fees and taxes.